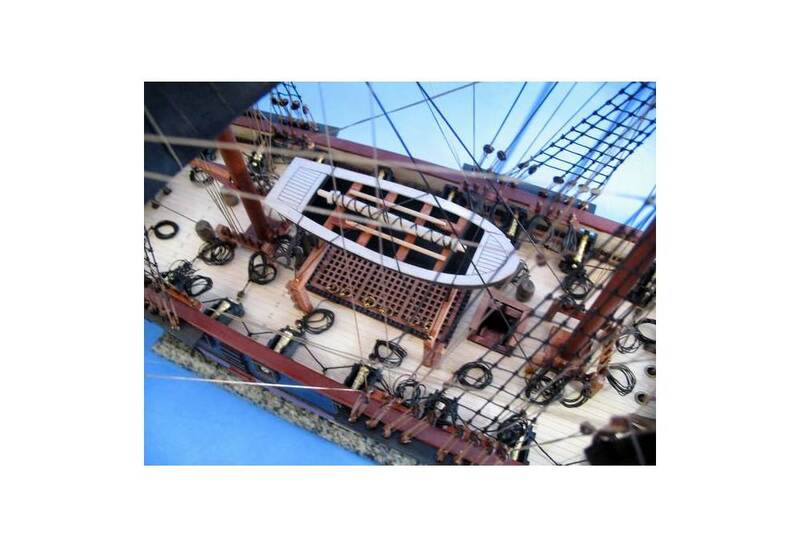 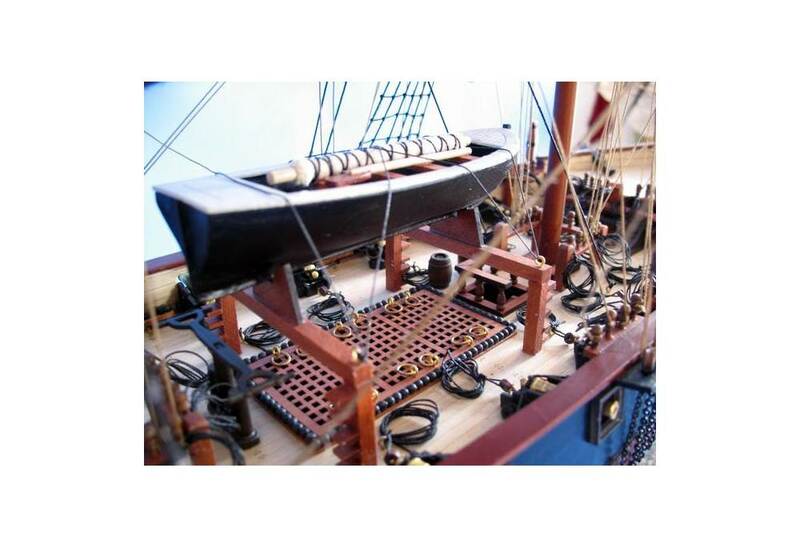 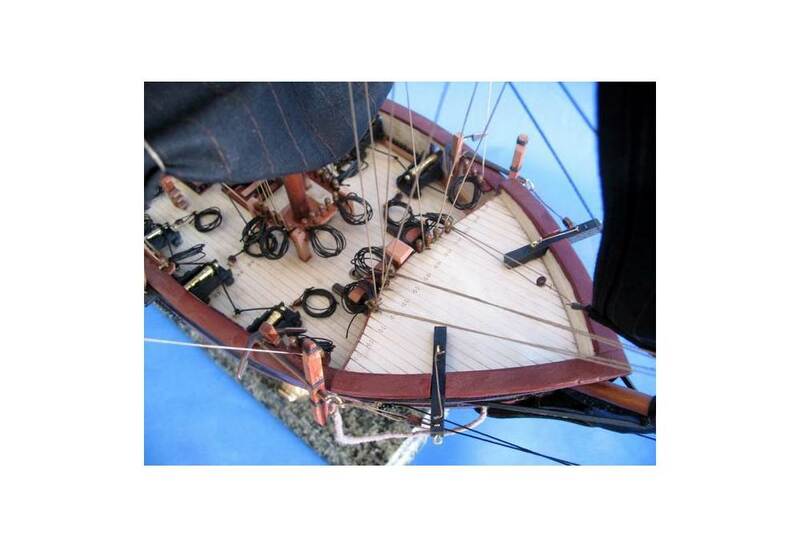 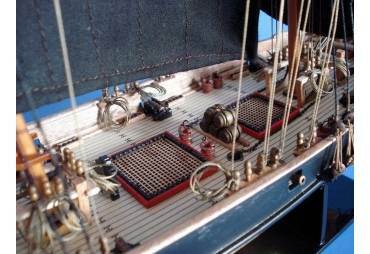 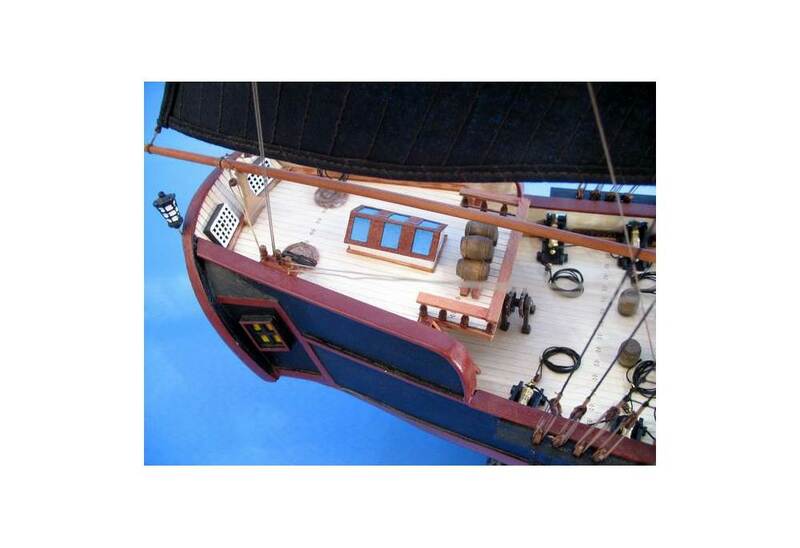 Amazing details: planked deck with nail holes, barrels, buckets, cannon ball racks, rudder chains, coiled ropes, and more! 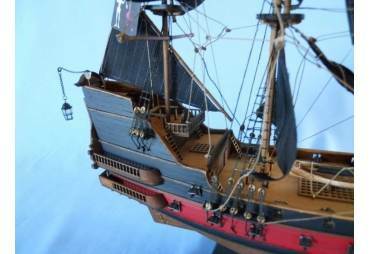 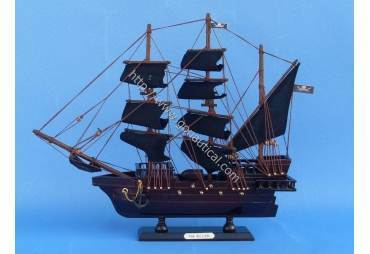 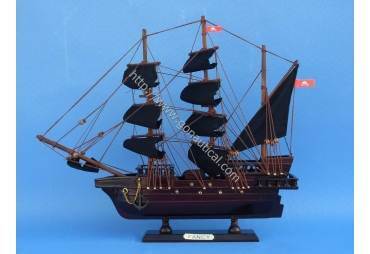 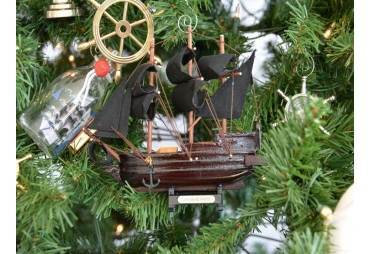 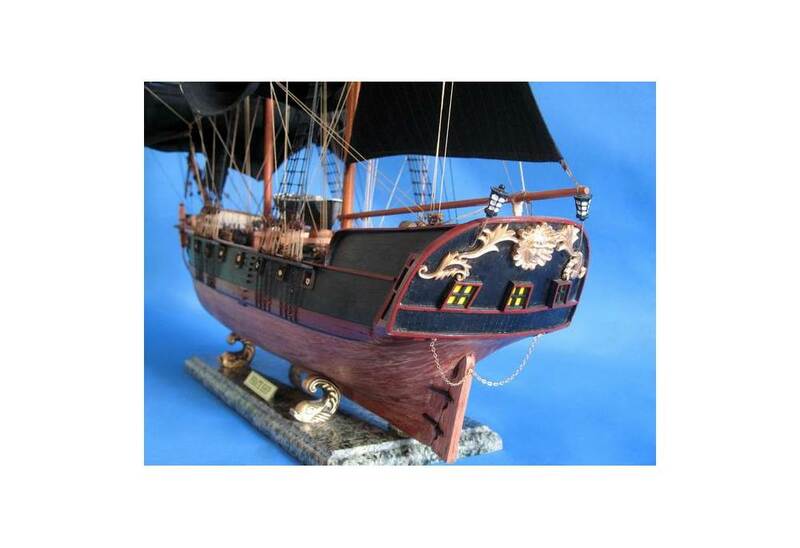 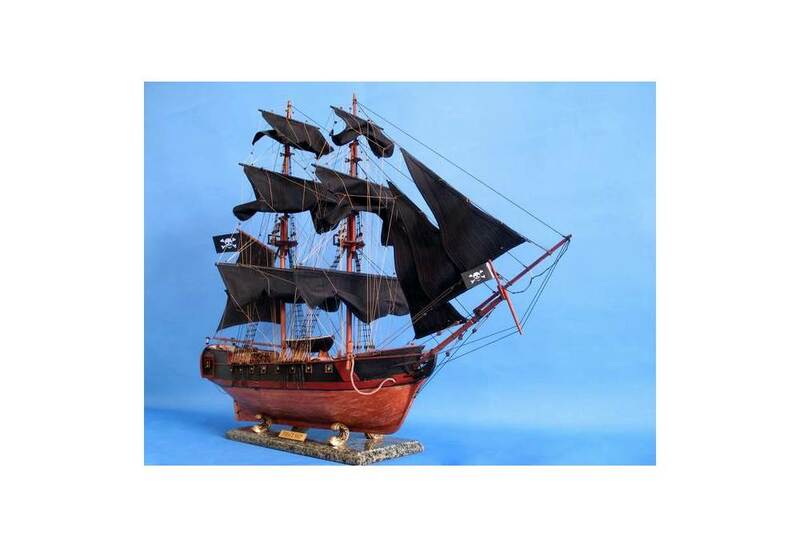 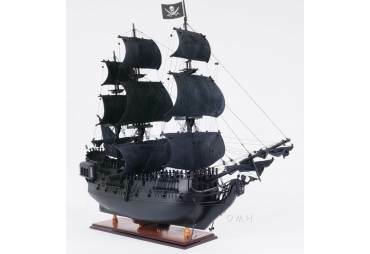 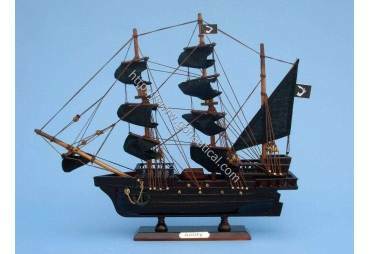 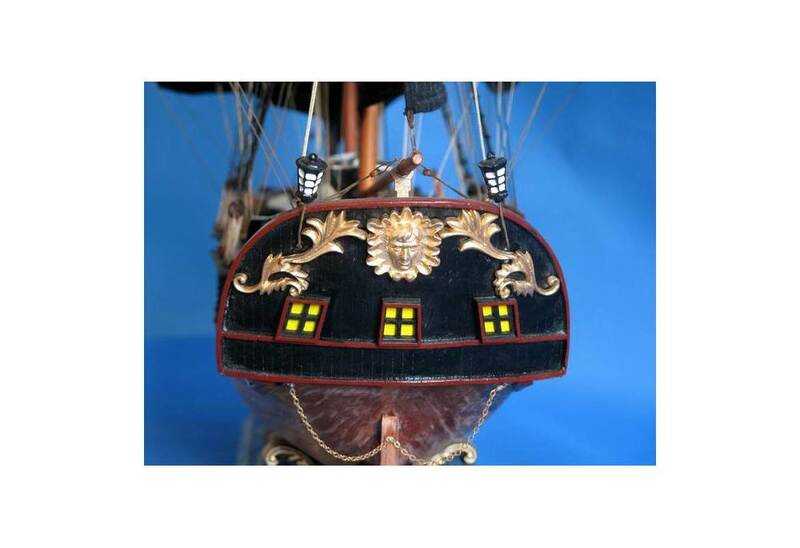 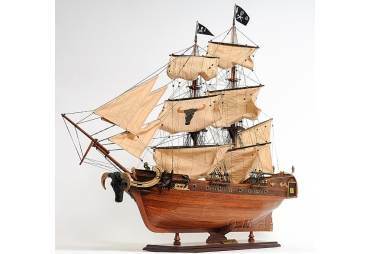 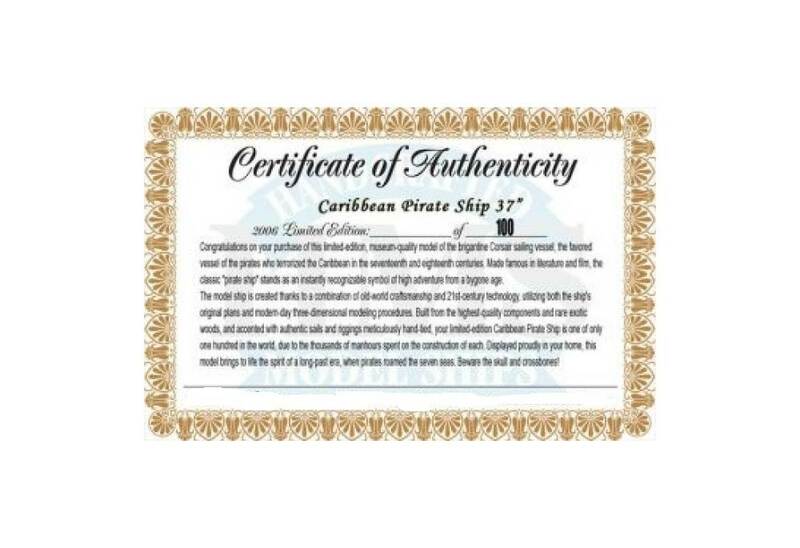 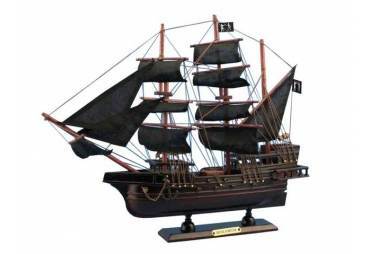 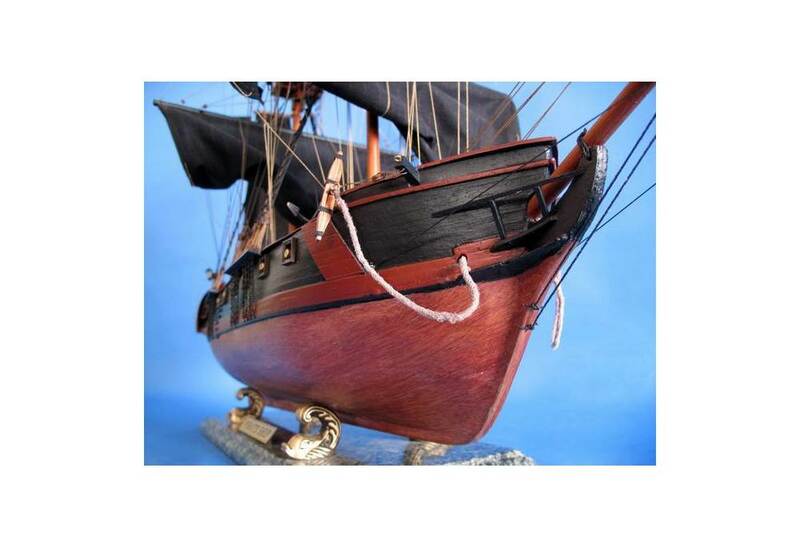 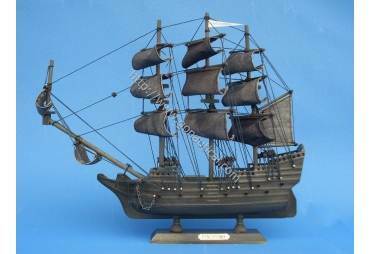 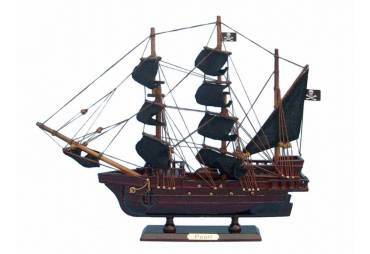 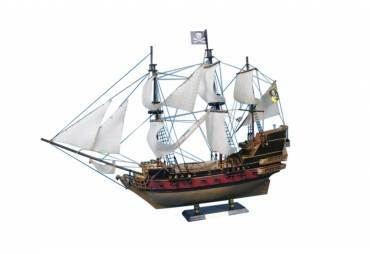 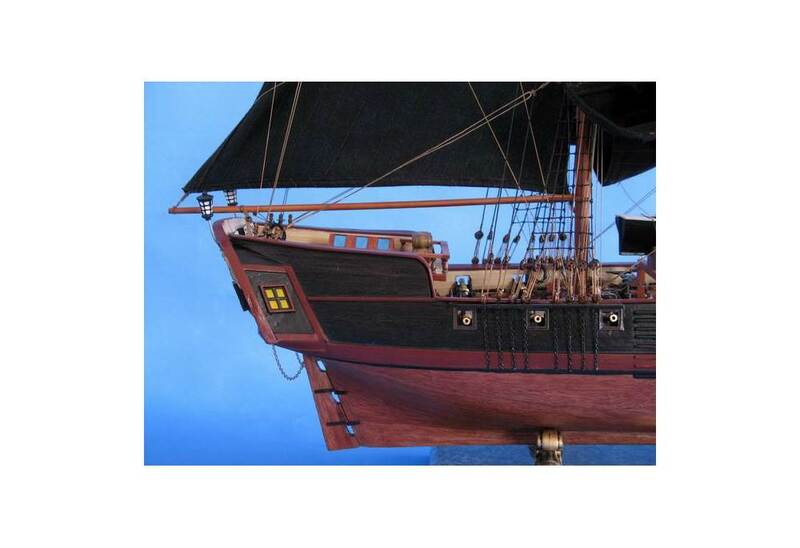 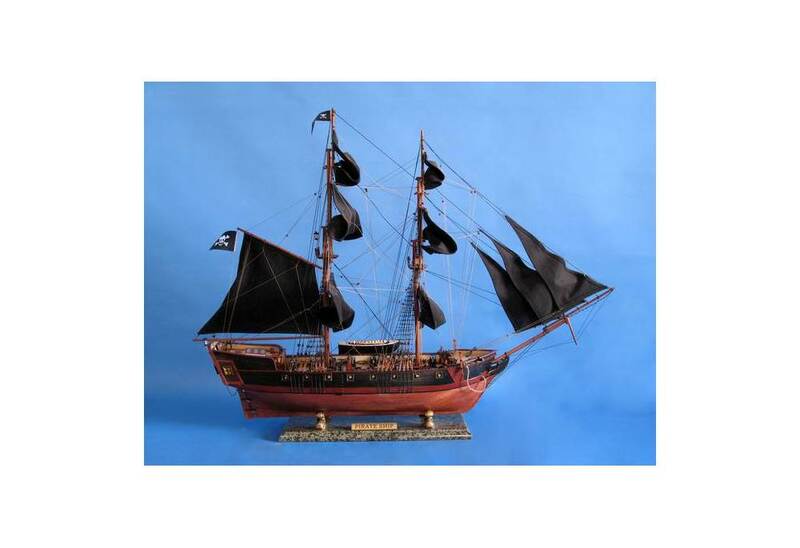 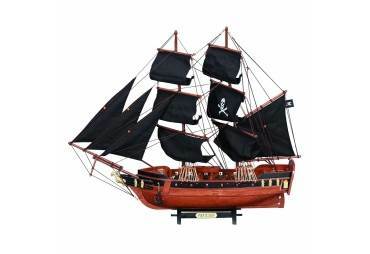 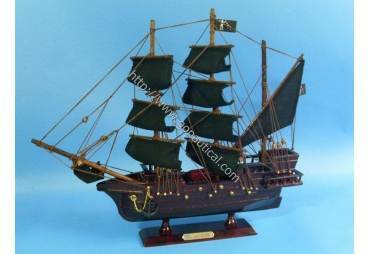 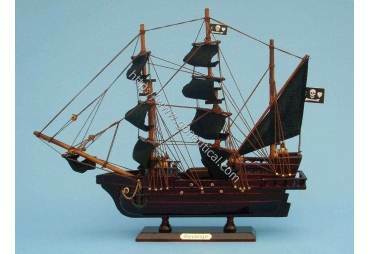 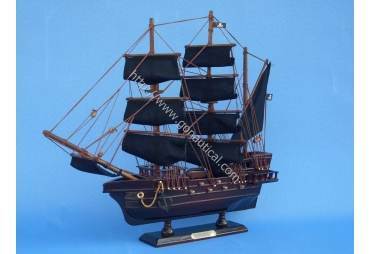 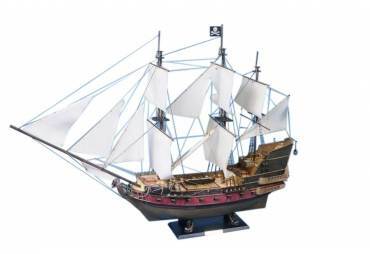 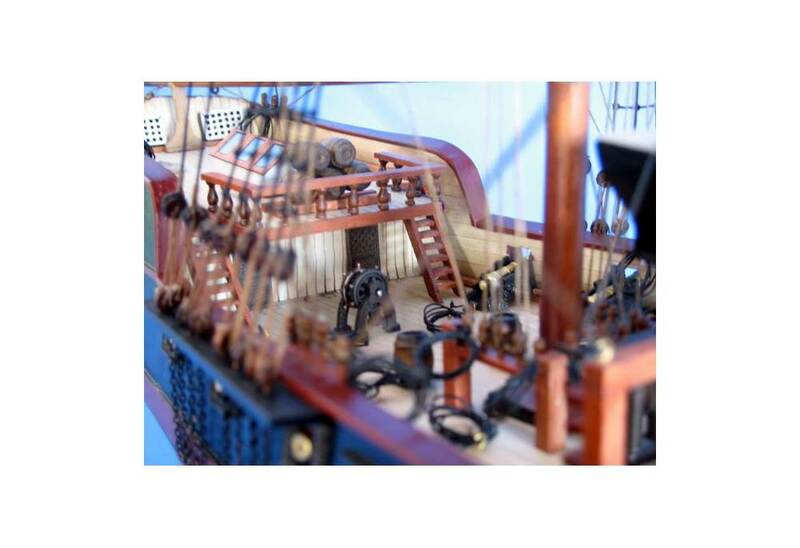 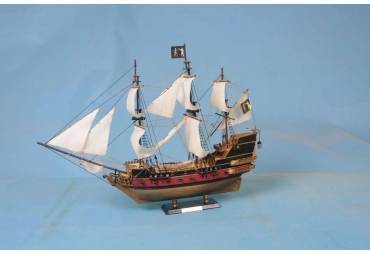 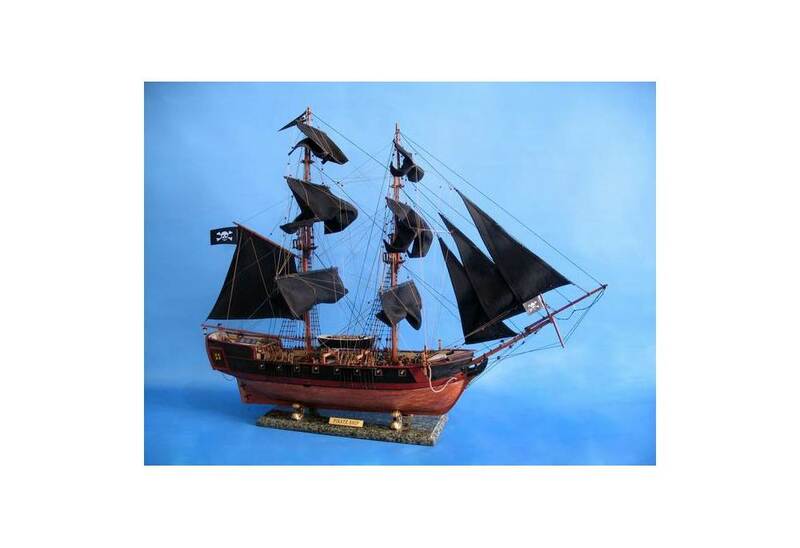 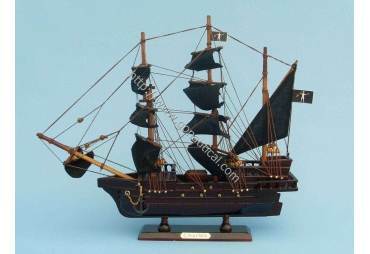 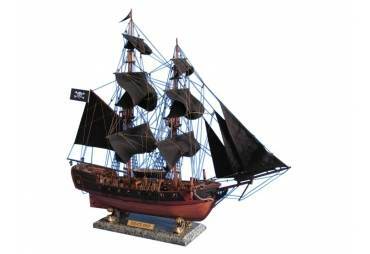 Also has tied down cannons, not available on our 27" version of the Caribbean Pirate Ship. 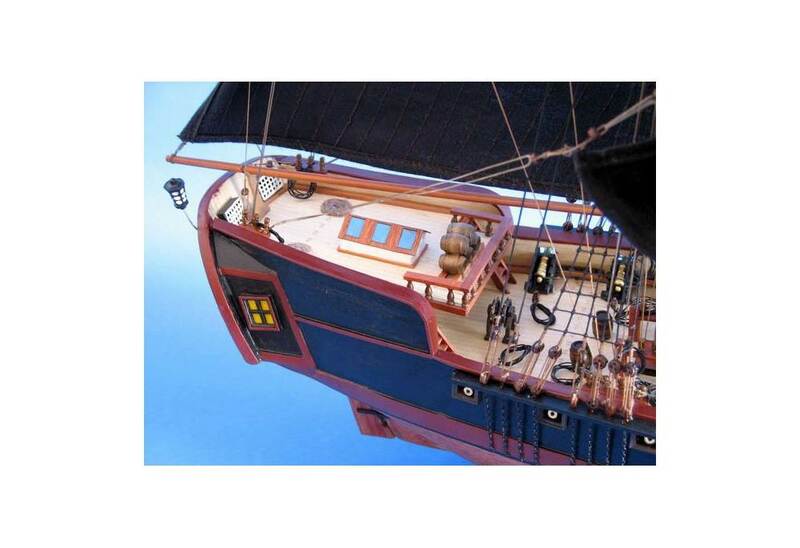 Built with rare, high quality woods such as cherry, walnut, oak, birch and maple. 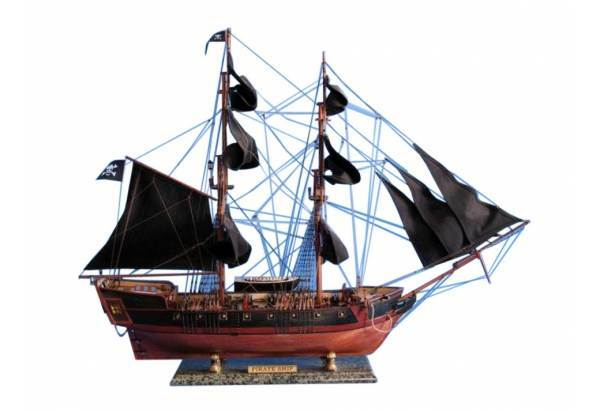 The model rests perfectly on a large wood base (marble pictured) between four arched metal dolphins. 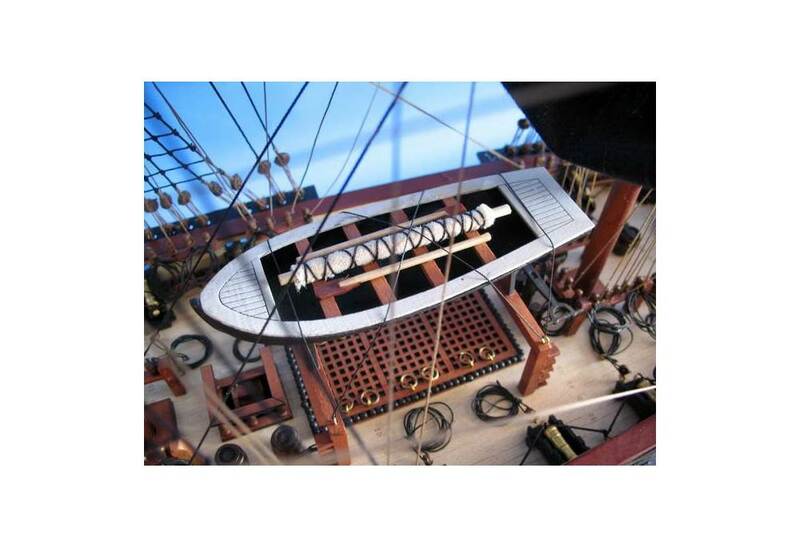 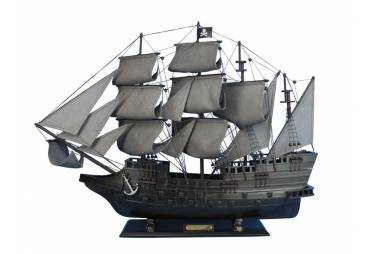 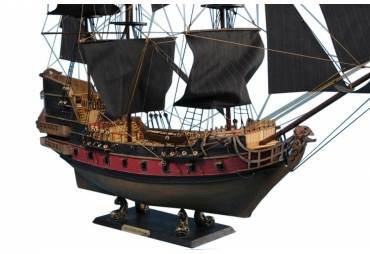 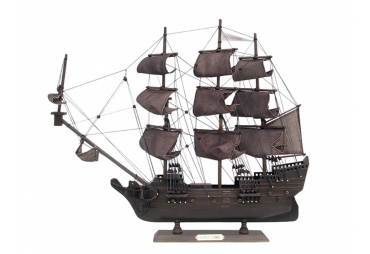 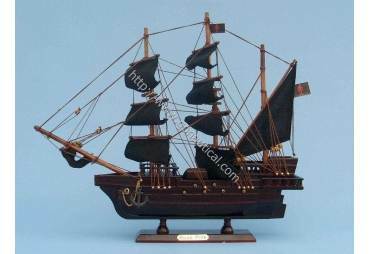 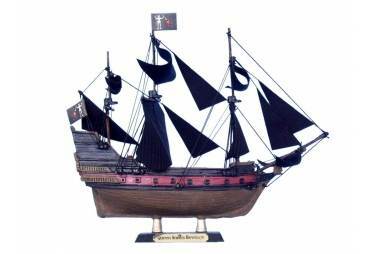 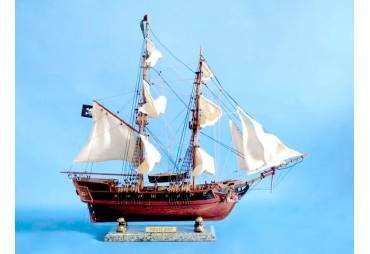 To build this ship, extensive research was done using various sources such as museums, drawings, paintings and copies of original plans.